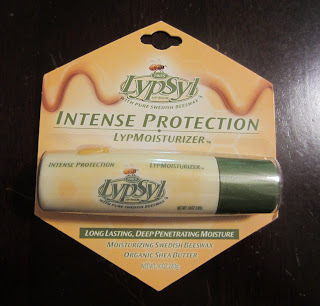 DISCLOSURE: I received a free LypSyl Intense Protection LypMoisturizer from Influenster to try and review. All opinions are my own. I love lip balm. I'm always putting it on. I have little things of lip balm everywhere. There's one in almost every purse, in my vanity drawer, in my drawer at work, and there are other random ones around the house. I had a few favorite brands, but wasn't really loyal to any single one. UNTIL I got my Naturals VoxBox from Influenster! I had never heard of LypSyl before. But I was eager to try it! I love trying new lip balm! LypSyl is made with pure Swedish beeswax, organic shea butter and Vitamins A and E. It provides long lasting, deep-penetrating moisture. 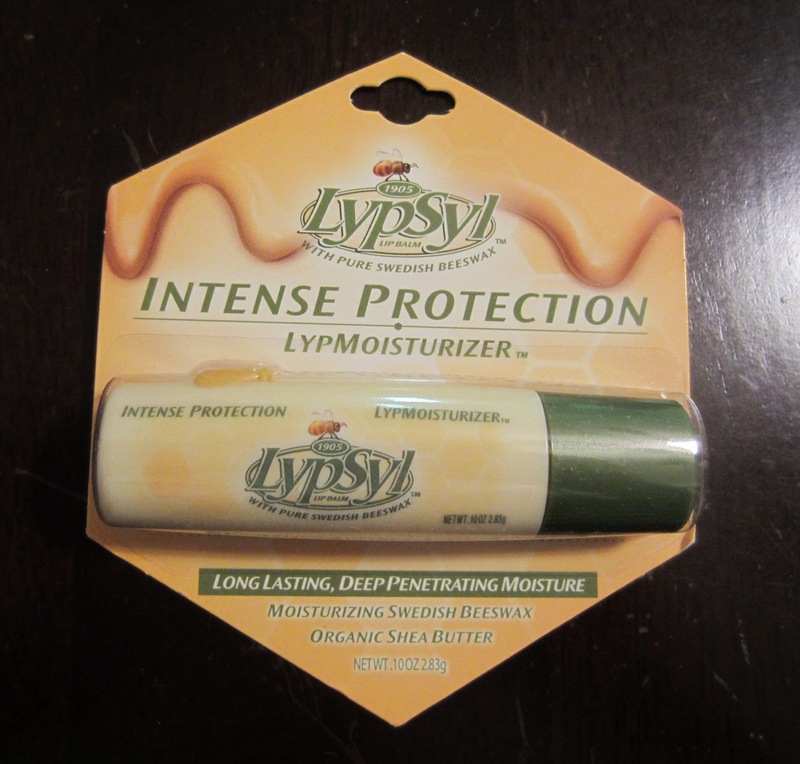 It helps to moisturize, soften and protect your lips naturally. It features an oversize application tip to provide even lip coverage. Plus, it comes in a great minty flavor! You can feel it tingling on your lips after you apply it. It really does last long. I apply it in the morning and can still feel it on my lips at lunch. There's a cute little bee on the side that you use to dispense the lip balm. It goes on smooth and your hair doesn't stick to your lips. Just one thing. It's not carried at my local Target and that's where I shop for a lot of my lip balms. But it's no biggie. Stores like CVS and Rite Aid carry it. Even though I don't normally shop those stores, I'll have to so I can buy more LypSyl! Yes! Right now, it's my favorite lip balm to use. I like how smoothly it goes on and the great minty flavor! It looks like the suggested retail price is $3.49 but you could probably get it for a little less than $3. The LypSyl website has a Store Finder and a list of stores that carry the product.